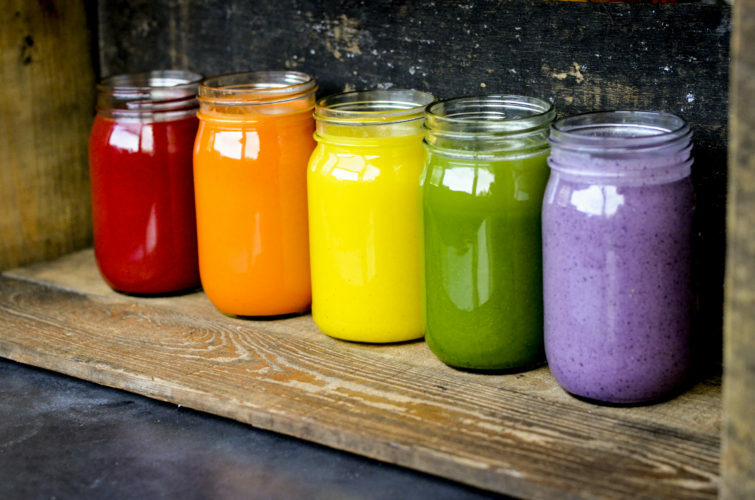 If at any point during your cleanse you feel your body is detoxing too quickly or if you feel too weak please feel free to incorporate a fruit and/or veggie smoothie (try to avoid starchy and/or fatty fruit like bananas & avocados). If you still do not feel satisfied try snacking on fresh fruit, raw veggies (i.e. carrots, red peppers, broccoli) or a small fresh salad with fresh lemon juice (avoid any store bought or commercial dressings as they often contain ingredients that will interfere with your cleanse). Remember, your cleanse should be a positive experience so it is important to first and foremost listen to your body and attend to its needs. You are by no means a failure if you have to add a smoothie or incorporate some fruit and/or veggies into your day because you will still be gaining many benefits from eating clean and nutritious produce. Everyone is different and although you may need to incorporate some of these foods during your cleanse from time to time you will overall reap many benefits of drinking and eating whole foods. Giving your body a break from cooked and processed foods is a cleanse within itself so you should be very proud of your accomplishments and your commitment to a better and healthier cleaner you! Pregnant and lactating women should never fast. If you suffer from diabetes, hypoglycemia (or any form of metabolic disorder) or have a chronic health problem, you should always seek the help of a professional before starting a fast (even a short one). Please inquire pricing for custom orders or sizes not listed on the price chart via justjuice4life.juiceorders@gmail.com.